10% Discount on orders of 6 units or more on any combination. 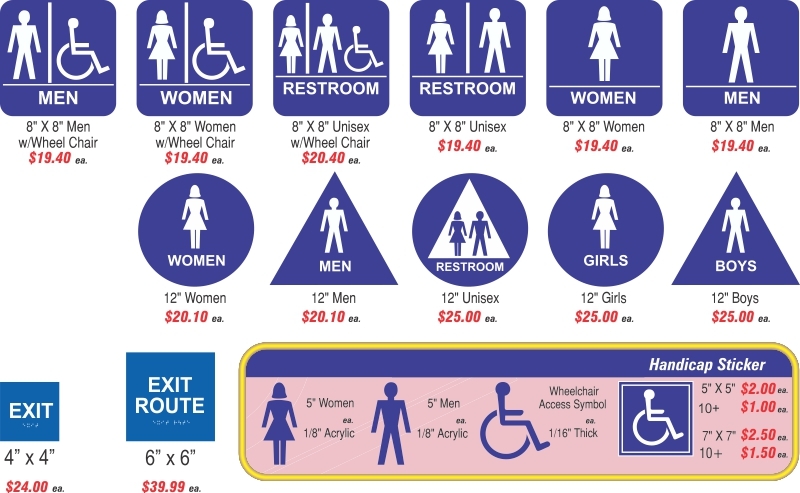 Need custom ADA signage? Please contact us, we'll be glad to help! 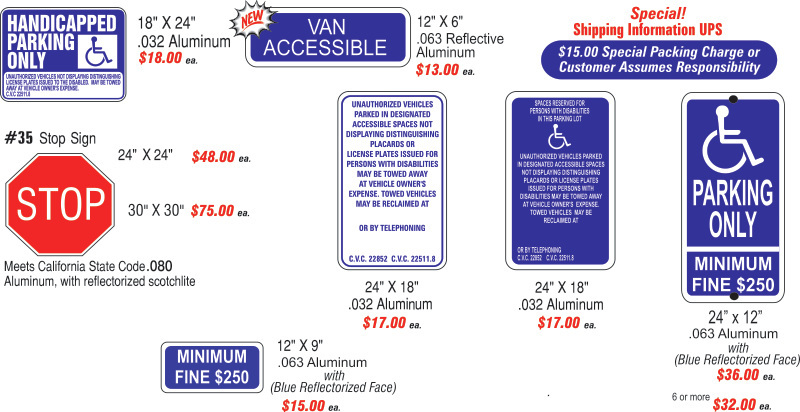 All handicapped signs have rounded corners to comply with ADA specifications.